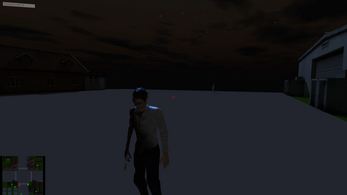 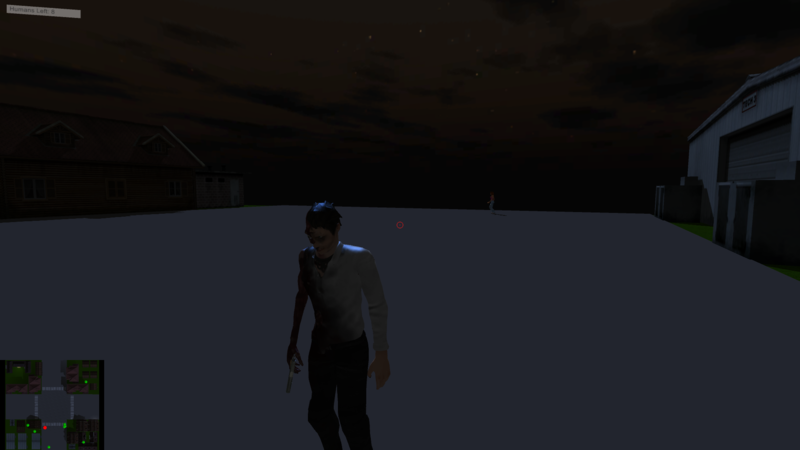 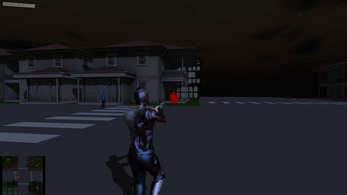 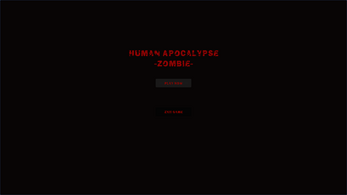 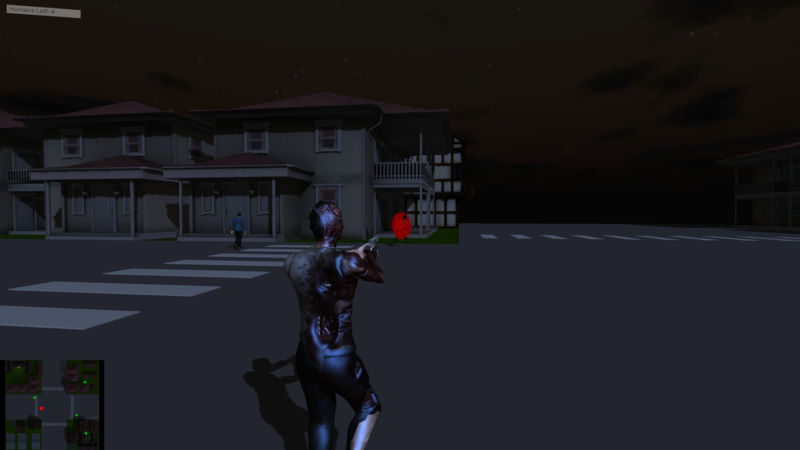 This is the first third person shooter-ish game I made. 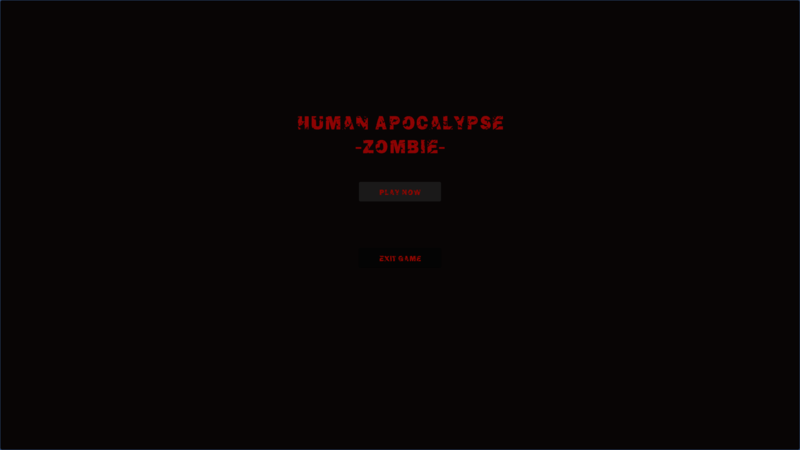 Was just testing an idea out. 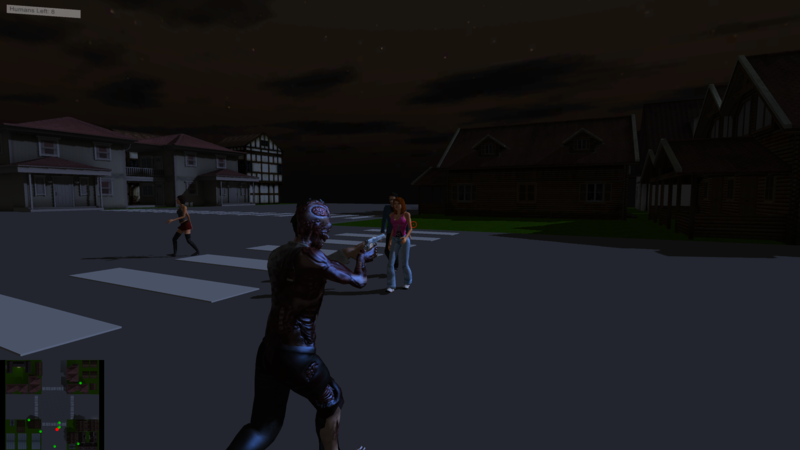 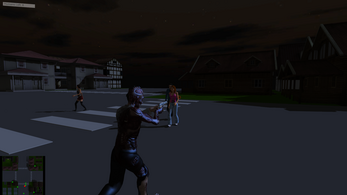 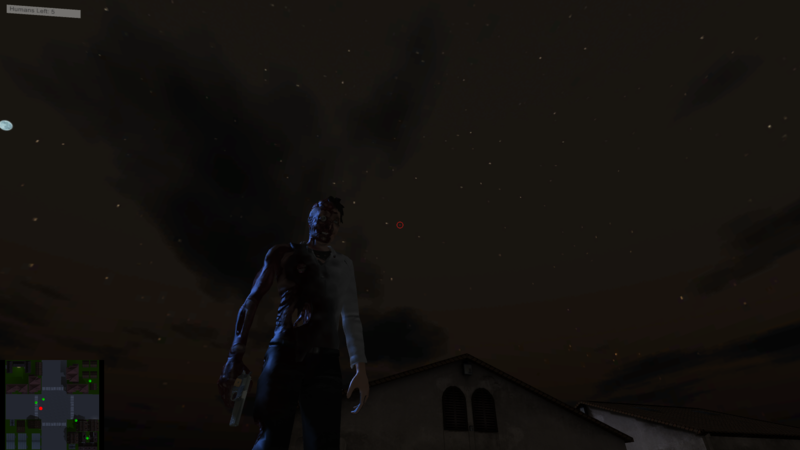 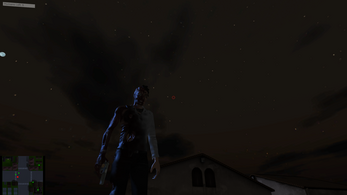 The idea is that you play as an immortal zombie slaughtering mindless humans roaming the streets. 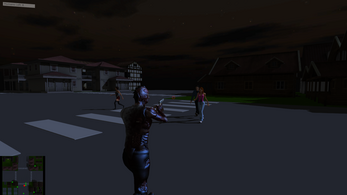 The humans have ragdolls and the player can choose from an incredibly, spectacularly wide array of weapons - a pistol and a machine gun. 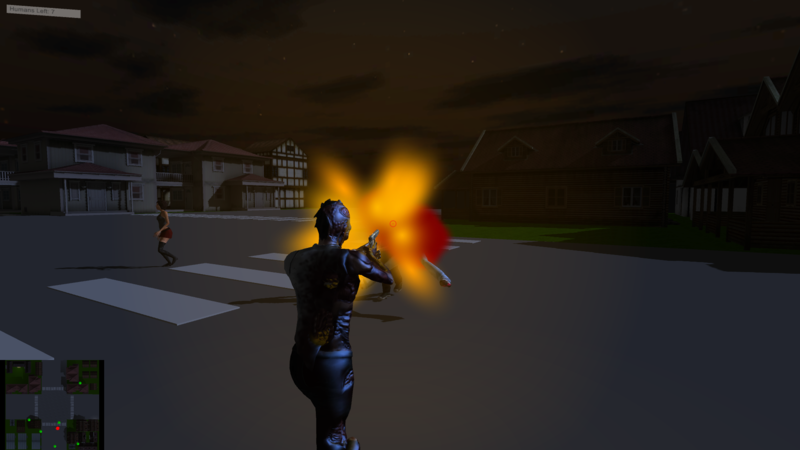 -borders around the level also have colliders so when you shoot at them, sparks and smoke appear.